Orlando for one night only. Sunday, March 5, 2017 at 8 p.m.
Tickets on sale Friday, January 13, 2017 at 10 a.m.
"We aren't likely to see a recording career like this again." January 9, 2017 – Dr. Phillips Center for the Performing Arts announces Tony Bennett, the 19-time GRAMMY Award-winning musician, whose music spans over six decades, returns to the arts center’s Walt Disney Theater on Sunday, March 5, 2017 at 8 p.m. Tickets for the performance will go on sale to the general public Friday, January 13, 2017 at 10 a.m. Tickets start at $49.50 and may be purchased online at drphillipscenter.org, by calling 844.513.2014 or by visiting the Dr. Phillips Center Box Office at 445 S. Magnolia Avenue, Orlando, FL 32801 between 10 a.m. and 4 p.m. Monday through Friday, or 12 p.m. and 4 p.m. Saturday. Online and phone ticket purchases are subject to handling fees. With worldwide record sales in the millions, and dozens of platinum and gold albums to his credit, Tony Bennett is a musician who touches the hearts and souls of audiences with his legendary vocals and charming stage presence. His long list of achievements, spanning over 60 years, includes 19 GRAMMY Awards, including the prestigious GRAMMY Lifetime Achievement Award, making this artist a true international treasure. His signature tunes, such as “Steppin’ Out With My Baby” and “I Left My Heart In San Francisco” form part of the fabric of American music culture. Often billed as “the world’s most boyish octogenarian,” Tony Bennett is a vital musical artist at the peak of his powers. Celebrating his 90th birthday in August of 2016, the milestone was marked by the presentation of “Tony Bennett Celebrates 90: The Best is Yet to Come,” a two-hour prime time special that aired in December. A companion CD of the same name was released simultaneously. Last fall also saw the release of Bennett’s fifth book, “Just Getting Started,” which he co-authored with journalist Scott Simon. Bennett’s 85th birthday in 2011 marked the release of “Duets II” and made music history by making Tony the oldest artist to ever have a #1 CD on the Billboard album charts. “Duets II” followed up “Tony Bennett Duets: An American Classic” CD, released in 2006. 2012 marked the 50th anniversary of the singer’s signature song, “I Left My Heart in San Francisco,” as well as the release of a new documentary film, “The Zen of Bennett,” created and conceived by Tony’s son and manager, Danny Bennett. Bennett also authored his fourth book, “Life is a Gift,” released in 2012 and entered the New York Times Best Seller list. In 2014, Tony Bennett released a collaborative album with Lady Gaga, “Cheek to Cheek,” featuring these two legendary artists performing jazz standards. The album debuted at #1 on the Billboard album charts making Bennett the oldest musical artist, at the age of 88, to have an album top the Billboard 200 and win the GRAMMY Award in the Best Traditional Pop Album category. 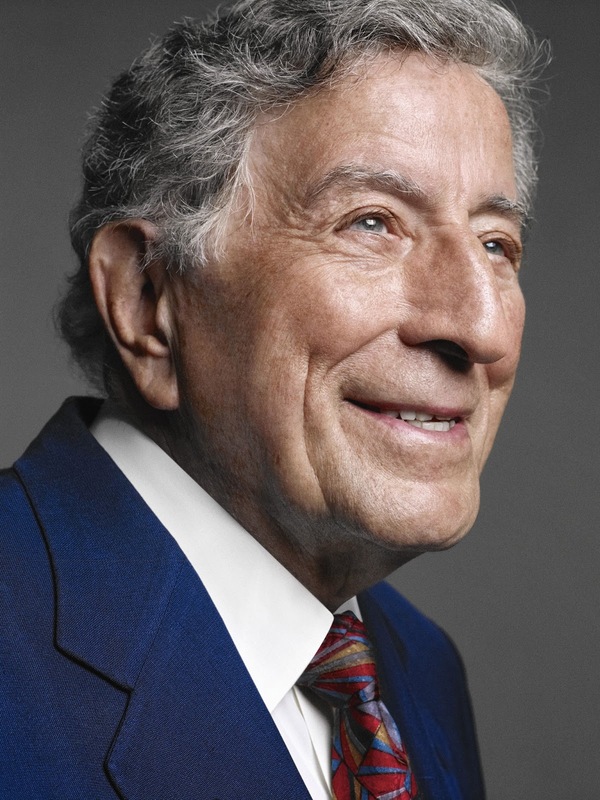 Tony Bennett is a Kennedy Center Honoree, an NEA Jazz Master and a recipient of the United Nation’s Humanitarian and Citizen of the World honors. Bennett is also a talented painter. He has exhibited his work in galleries around the world, and three of his original paintings are part of the permanent collection in the Smithsonian Institute in Washington, DC. Throughout his career, Bennett has put his heart and time into supporting humanitarian concerns and joined with Dr. Martin Luther King in the historic Selma march in 1965. His many charitable works include raising millions towards Diabetes research, and lending his artwork to raise funds for the American Cancer Society. In 2007, he was honored by the United Nations. Together with his wife, Susan, Bennett established the charitable organization, Exploring The Arts (ETA) to support arts education in public high schools. Tony founded Frank Sinatra School of the Arts, a NYC public high school in his hometown of Astoria, Queens and ETA now supports 33 NYC public high schools throughout New York City and six public arts high schools in Los Angeles.